Size: Medium, Name: MEDIUM is currently out of stock! Red and white unlined striped blazer with front pockets and wide lapel. Fits most men with chest size 44. Red and white unlined striped blazer with front pockets and wide lapel. Fits most men with chest size 42. 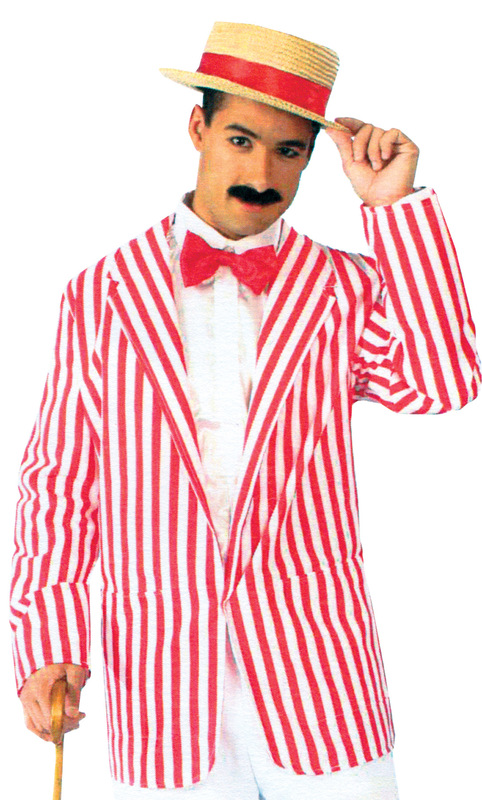 Red and white unlined striped blazer with front pockets and wide lapel. Fits most men with chest size 48. Red and white unlined striped blazer with front pockets and wide lapel. Fits most men with chest size 52.